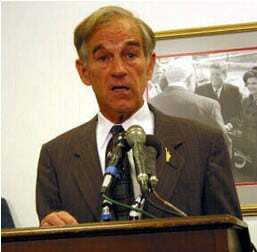 Those of you who read this site know that I’ve been heavily promoting Ron Paul as a candidate for President in 2008. Until today all of my posts about him have been positive. But alas, I am not a fanboy. I heap praise when I like something, and I call attention when I see something that doesn’t look right. He’s also of the opinion that there is serious disagreement within the scientific community regarding global warming. I was under the impression that the only people disagreeing at this point are in denial. I’m not abandoning Ron Paul, but these quotes definitely make me uncomfortable. The problem with the race quotes is that even if he has legitimate explanations for them they will still be used against him (very effectively) during the entire campaign. And that’s the last thing he needs when already fighting a nearly impossible battle. The problem with the religion quotes is that as an atheist I think a largely secular society is the way to go, and he clearly disagrees very strongly. I do agree with him about maintaining Christian holidays and traditions within our country, but to me that’s not so much a religious issue as one of national identity and cohesion. Either way, he has weaknesses. The only question for me (and for other potential voters) is whether those flaws are outweighed by his strengths. And according to my current tally I’m going to say that they are.